Taking the time to learn and understand the relationships of the many plant families (as they are classified by the scientific community) is an important step to plant identification. It also serves as a basis for hypothesizing and thus discovering new potential wild edibles¹. In this article I will cover a short lesson on learning how to recognize plant similarities in relation to other members classified in the same family. Plant Classification is as Wikipedia puts it “the placing of known plants into groups or categories to show some relationship”. The order of such classification in its basic form is arranged as such: Kingdom, Division, Class, Order, Family, Genus and Species. To see a practical application of this we’ll use Himalayan Blackberry as an example. 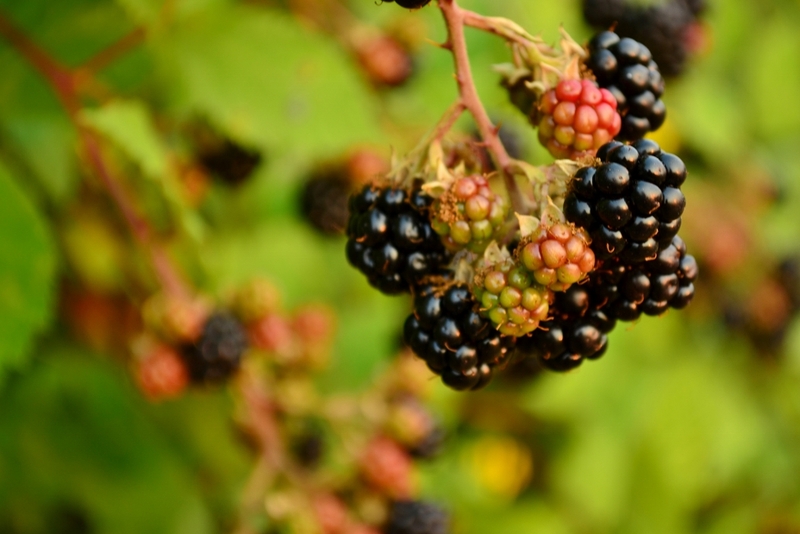 Blackberry is a plant therefore it is classified in the Plantae Kingdom. 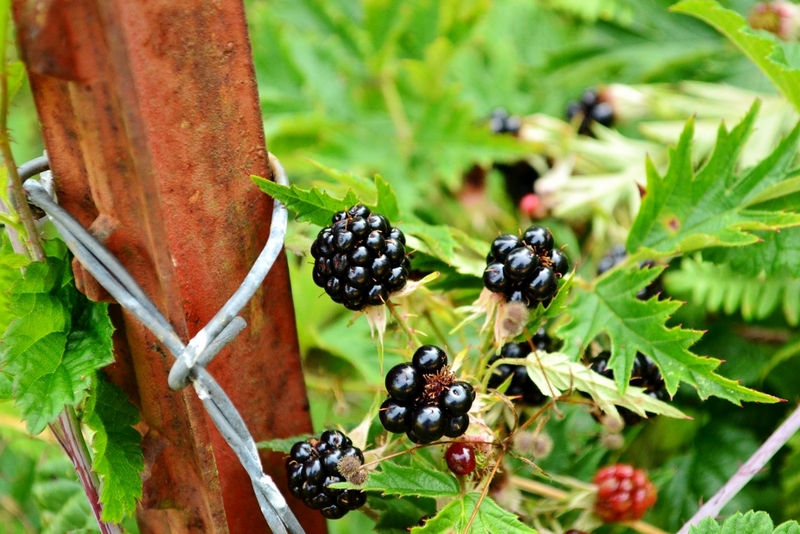 Blackberry is a ‘flowering plant’ which produces a ‘seed bearing fruit’ and thus is in the Magnoliophyta Division and Mognoliopsida Class. It’s part of the Rosales Order which is a group of nine related families, Blackberry being in the Rosaceae Family (aka Rose Family). 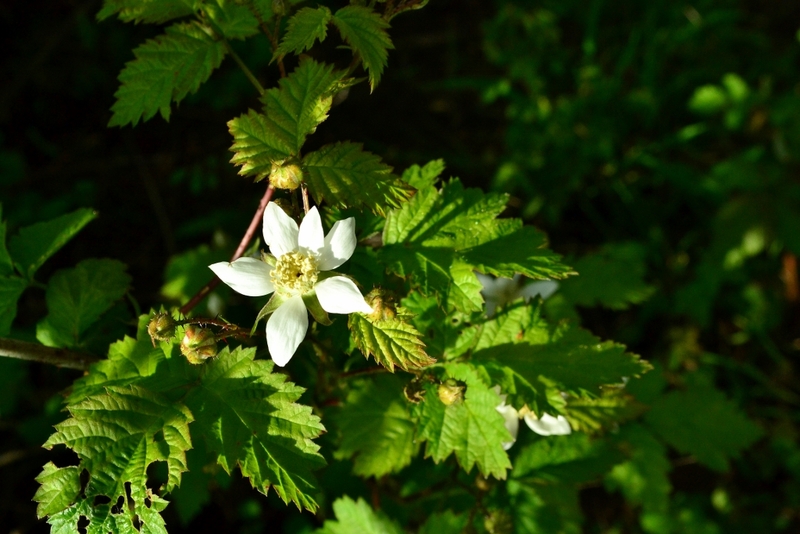 Its Genus (or generic name) is Rubus a group of plants which produce an aggregate fruit. Its Species (or specific name) is discolor. 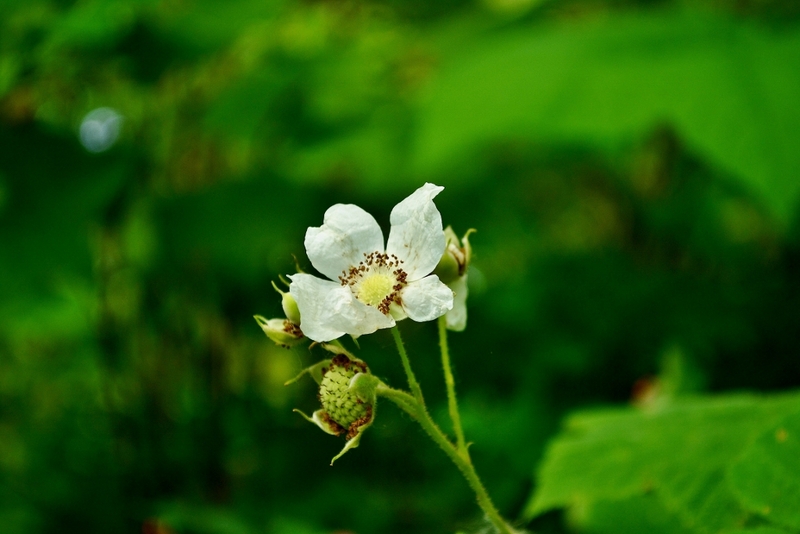 Now we can say that common Blackberry’s real name is Rubus discolor and is in the Rosaceae (Rose) family. So now that we know Blackberry is in the Rose Family lets consider their similarities. Rose flower on the left compared to Blackberry flower on the right. 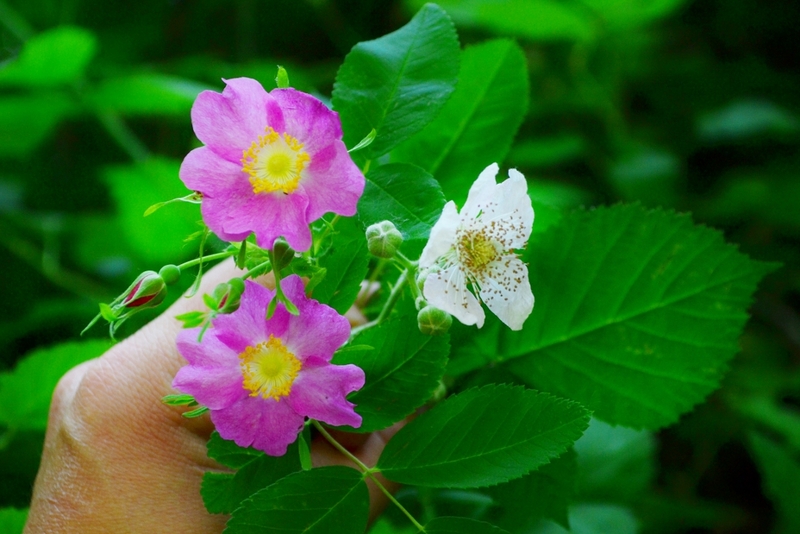 In the photo above we have Wild Rose on the left compared to Blackberry on the right. Note their similarities. 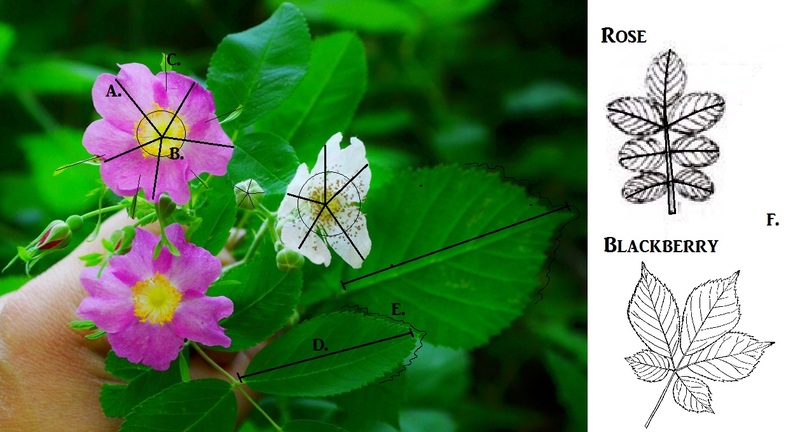 Both have 5 flower petals (A) and a spray of Stamens (B). Behind the pedals each have 5 Sepals (C). Both also have very similar stem, leaf and thorn structure. The leaflets main vein runs from the Base of the leaflet to its Apex (D), each leaflet has a jagged Margin (E), and both plants leaf structures are “Odd & Compound”(F). When in the field we may notice a plant which share similar traits to another that we know to be edible. 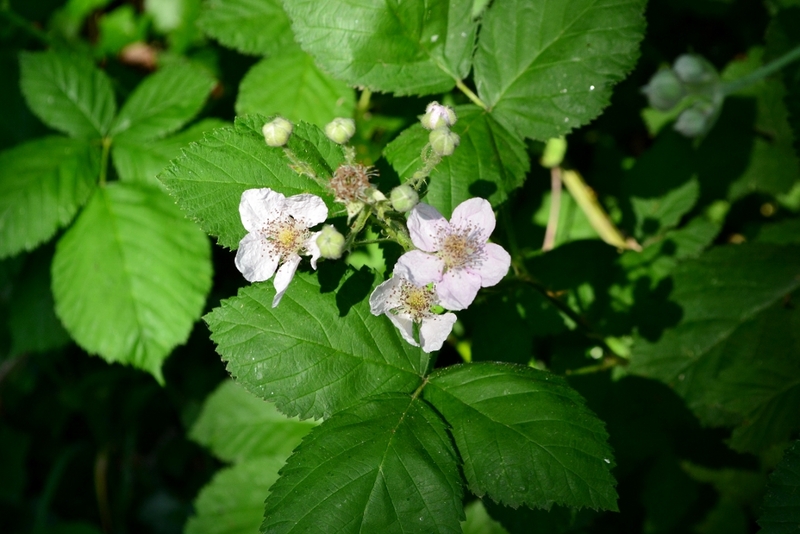 For example when comparing the Wild Rose and Blackberry to the fruiting shrub pictured below we may be enticed to investigate its identity. A careful look and again we see traits of the Rosaceae Family. What do we see? The leaf structure is Odd and Compound, with Veins running from the base to the apex. The fruit is aggregate. Although not easily seen in the photo, there are 5 Sepals and a spray of Stamens left behind from the flower, also the stems have very small thorns. What can we conclude? 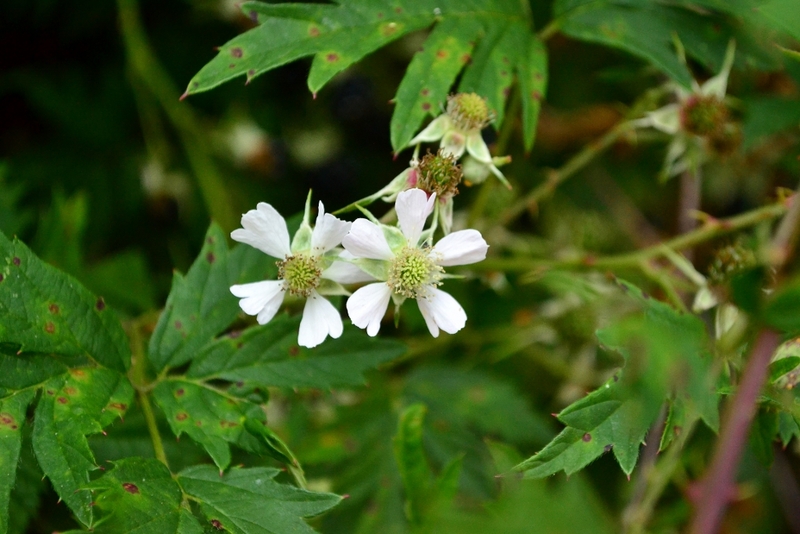 With such similarities to both the Rose and Blackberry we can begin to narrow down our search under the Rosaceae Family to the Genus Rubus. Using a plant guide and or google, one can find a matching photo. 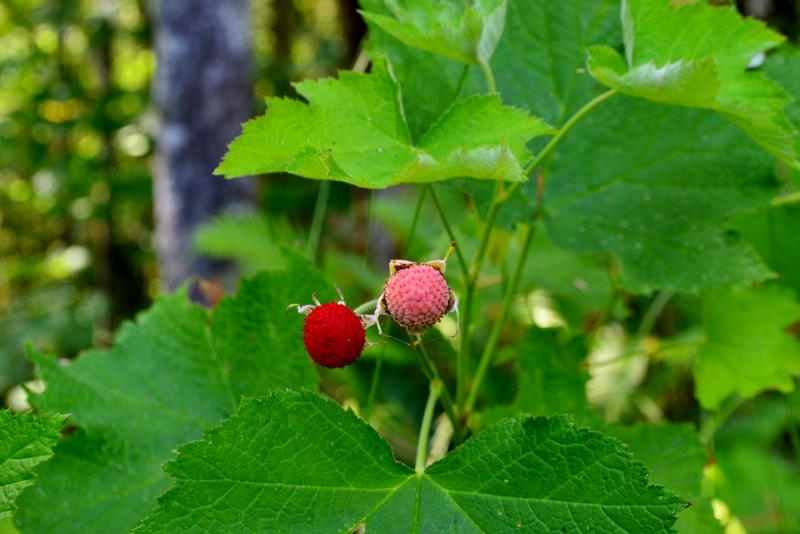 As it turns out this plants common name is Salmonberry (Rubus spectabilis) which is… you guessed it, in the Rose Family. With practice, exercising a keen eye, eventually your identifying skills will improve allowing your investigations to yield more promising discoveries. 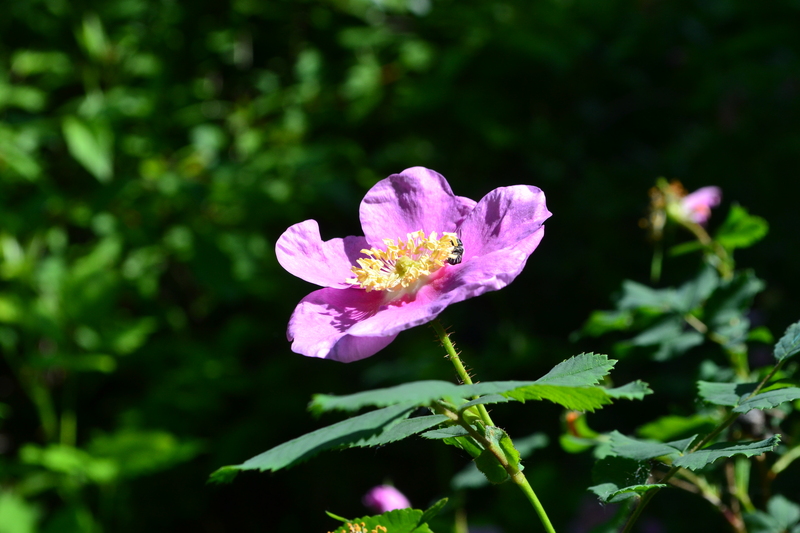 Below is again the Rose followed by more plants classified as Rubus. Why not take the time to look them over and observe as many similarities as possible? Thanks for reading and as always, Happy Foraging! -Henry H.
¹ Just because a plant is related to a know edible does not necessarily mean it will automatically be edible as well. This knowledge is used as means to refine your skills for identification in general. Careful research should be done before eating any new plant, in some cases you may even want to consult an expert if you are just unsure.